Food ~ What emotions does this simple word trigger in you? For me it's a million emotions and the biggest one is love! I love food, food loves me.. we have a great bond. We have been together and for each other in the gravest of times and have shared and celebrated every moment of life together. Sometimes I wonder how pointless life would be if a human had no appetite and did not require food to live. The whole cycle of life would be so pointless and the enthusiasm of living would be lost. Everything from south Indian Idli sambar, to North Indian chana chole, kababs, biryani and western cuisines is pure love to me. Food, especially desserts have this amazing quality of elevating my mood, no matter how sour I am feeling! I eat food, I live food, I even dream about it! That's not all, I love cooking them too. What's the fun when you can't cook what you like to eat right?! The best dishes I love cooking are desserts(because they taste the best :P). But sadly, I don't get to experiment too much in this category as my Dad is a Sugar patient and of course, I am turning into a Laddoo myself due to excess intake of sugar and zero intake of exercise. *Cardamom, pinch of saffron, three drops of rose water. *Start with kneading the dough. Knead only until all ingredients are mixed and the khoya has completely dissolved in the Maida flour. Kneading intensively will lead to hardening of the flour, resulting in hard Jamuns which won't soak in the syrup well. Once the kneading is done, keep aside for about ten minutes. Make small/medium sized balls using your palms. Don't leave any cracks. *Meanwhile, boil the water, add cardamom saffron and rose water to it. Too much of rose water will spoil the taste so be careful. Add the Sugar Free Natura powder to this water and boil for a minute. *Take a deep frying kadhai, add oil to it when hot. When the oil is ready(and only when the oil is ready), add the balls to it and deep fry. You can fry in two trips if the balls are more. Let them turn into a sweet golden brown. *Now is the trickiest part. 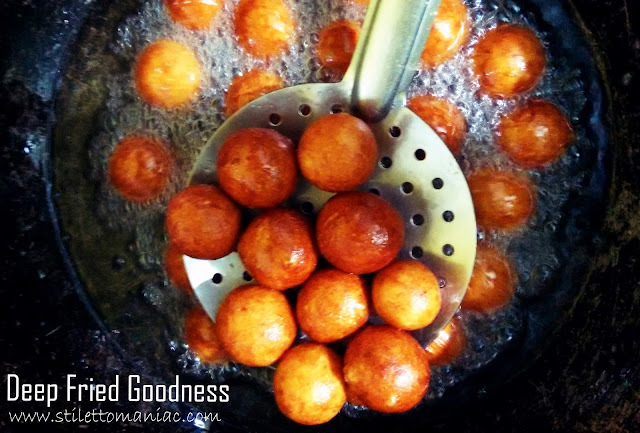 Add the hot, just-out-of-the-kadhai balls straight into the warm syrup. If the syrup has cooled down, warm it up again. This is very vital as, if the syrup is not warm, the balls won't seep in the syrup entirely. Looks delicious. Mouth watering. Well Done. All the best for the contest. This is indeed delicious and mouthwatering. 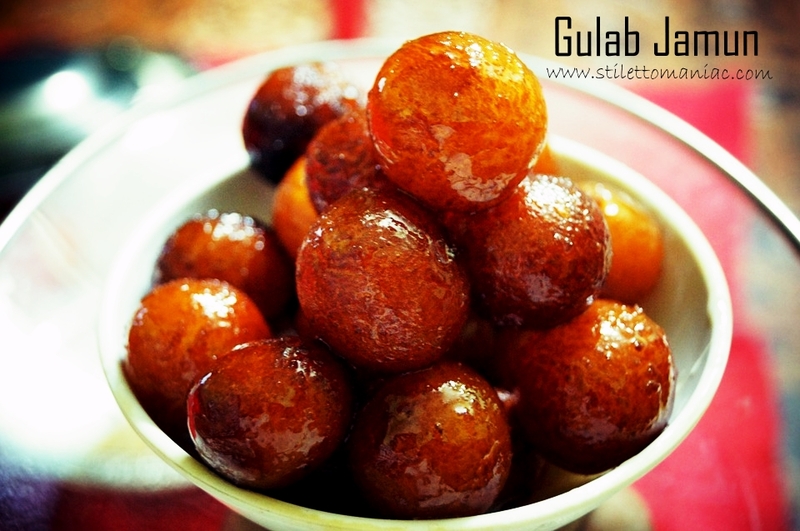 I love gulab jamun and this recipe is awesome. Good luck for the contest.